You can help support this site. Buy Restoration tools, supplies and documentation from my eBay store. CLICK HERE. New Earphone Jack Nut Driver Tool! Finally! 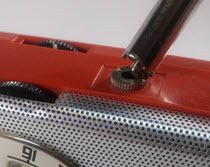 This earphone nut tool lets you remove earphone jack nuts without damaging your radios. BUY ONE HERE. 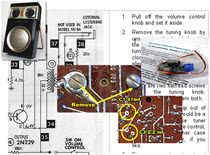 Use these kits to make your radios play again even if you have never soldered before. kits contain necessary parts and full-color instructions. CHECK ‘EM OUT!